Fruit can be a part of a diabetes-friendly diet. They are loaded with essential vitamins, minerals, fiber, and antioxidants. They taste good and are refreshing, filling, and also add color to your plate. The key to selecting the right fruit is to choose the right kinds and appropriate portions. As they can contain high amounts of carbohydrates that can affect your blood sugar levels, you need to eat moderate amounts of fruit. Eating fruits is healthy but eating in moderation is better. 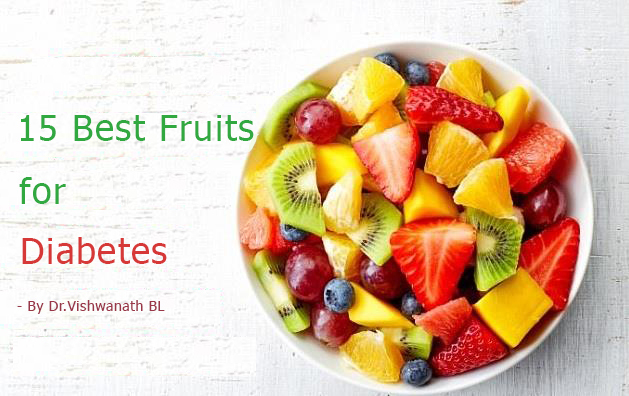 Here are my top 5 tips which will help you to enjoy fruits if you are a Diabetic and want to enjoy fruits. 1. Always eat fruits that are fresh, local and in season. Raw fruits are best as it contains fibers and retains most of the essential nutrients. Never consume fruit juice as it’s devoid of all the fiber and contains added sugars which would spike blood sugar levels. 2. Fruits should not be eaten with your main meals, its best to have fruits in between meals and as a snack. This is because fruits act as fillers in the diet, as they are rich in fibers. 3. Eat fruits with some nuts to balance the glycemic load. A low glycemic load will indicate low level of sugar in blood. 4. Sprinkle fruits with grounded cinnamon powder which is very helpful in balancing blood sugar levels. As cinnamon has good blood sugar lowering properties. 5. Always eat fruit in moderation. Fruit is nature’s candy. They provide natural sugars which can be easily digested. What Are The Diabetic Friendly Fruits You Can Have? 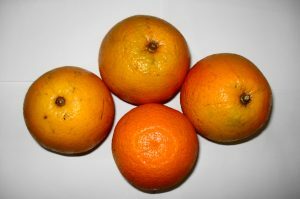 Here I am listing the 15 best fruits that can be taken by diabetics as a part of their regular diet. There are 15 g of carbohydrate in 1 1/4 cups of Strawberries. One cup of strawberries contains almost as much vitamin C as one cup of orange juice. It also contains folic acid. 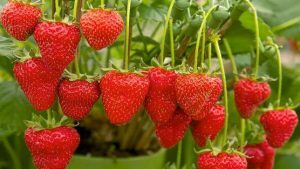 In addition, strawberries are rich in potassium and are packed with antioxidants, such as anthocyanins, and quercetin. Making it an all-round low-calorie choice for diabetics. Apples contain vitamin C, fiber and several antioxidants. A medium sized apple contains 95 calories, 25 grams of carbohydrates and 14% of the daily value for vitamin C. You can find most of the nutrients in apple’s skin. Also, apples contain large amounts of water and fiber, which is the reason you feel full after taking an apple. The fibers present in apple keeps the sugar levels in check. 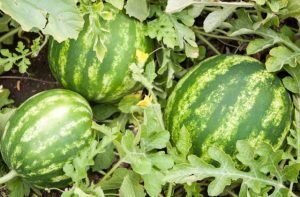 Watermelon contains high amounts of fiber and moderate amounts of lycopene. This is the pigment that gives the fruit its color. It’s also a powerful antioxidant. It is suggested that lycopene is involved in reducing cardiovascular diseases. 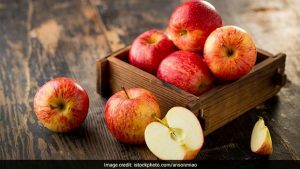 It has been observed that diabetics suffer from cardiovascular diseases at some point of time, so a moderate amount of this fruit can provide good benefits. 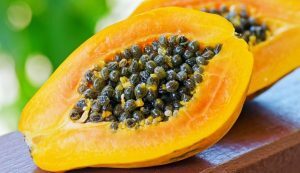 Papaya is a great choice for diabetics as it is loaded with natural antioxidants. Diabetics are susceptible to many complications, including heart and nerve damage resulting from irregular blood sugar levels. A diet incorporating papaya can obstruct future cell damage and also help for a better and longer lifespan. Orange is a rich source of flavonoids and phenolic acid, which have shown tremendous protective abilities, especially in case of diabetics. 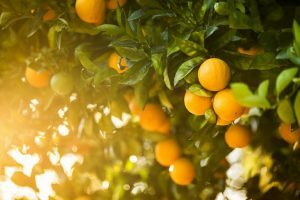 Citrus fruits are excellent when it comes to breaking down glucose, as they not only delay glucose update but also inhibit the movement or transport of glucose through the intestines and liver. Mosambi juice with amla and honey on empty stomach is very beneficial for diabetic patients. 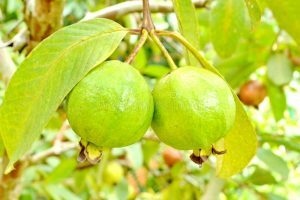 Guavas are rich in fiber that helps ease constipation, a common concern among diabetic patients community, in addition to that it can also lower the chances of developing type-2 diabetes as fibers keep the sugar levels in control. 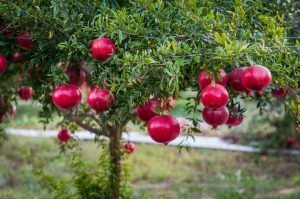 Pomegranate is a super fruit as it contains the richest combinations of antioxidants of all fruits in the fruit kingdom that can protect you from free-radicals and chronic diseases. So it can be incorporated in the daily diet for multiple health benefits. 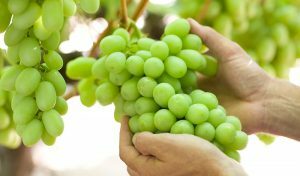 Grapes contain Resveratrol, which is also found in some berries, it has the property of modulating the blood glucose response by affecting how the body secretes and uses insulin available in the bloodstream. Hence grapes can be a good choice keeping its nutritional benefits in mind. There are 15 grams of carbohydrate in 3/4 cup. Blueberries are the berry with the most antioxidants and contain flavonoids and resveratrol which is a polyphenolic compound naturally found in peanut, grapes, red wine, and some berries. Mangoes are regarded as the king of fruits, a ripe mango can contain up to 31 grams of sugar, but its glycemic load is only 10. 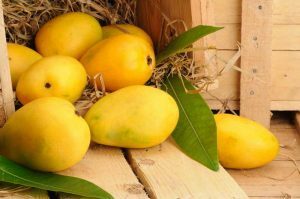 The fiber in mango helps in limiting the rapid absorption of the sugars. Thus keeping balanced sugar level. It is advised to eat mango in moderation. Pears are an excellent source of fiber and also vitamin K, which makes them a great addition to any diabetes diet plan. 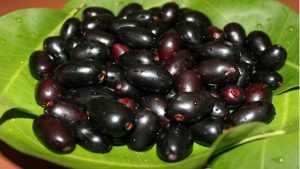 Jamun improves blood sugar control. It is 82% water and 14.5% carbohydrates. The best thing about Jamun is that it has a hypoglycemic effect that helps in reducing blood and urine sugar levels. In addition to the pulp, the seed of Jamun are also very beneficial in controlling diabetes. Jackfruit contains many essential nutrients such as Vitamin A, C, niacin, manganese, magnesium, and calcium etc, a great option for diabetics. It also improves insulin resistance in diabetic people. Raw jackfruit has a lower glycemic index. Learn more about the health benefits of Jackfruit. 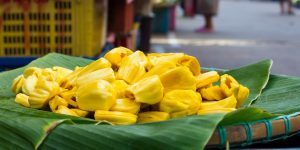 Check out my blog on the same topic –Surprising Health Benefits of Jackfruit That You Must Know! 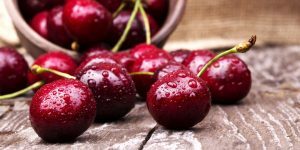 Tart Cherries are great for diabetic people as their GI (Glycemic Index) value is 20 and in some cases, less than 20. A diabetic should never stop eating fruits; in fact they should make it a part of their daily diet. Only the quantity of serving should be in moderation as fruits play a key role in detoxification. Stay healthy, Stay fit. Wellness is a way of life. Hi Dr, Thank you very much for this information. I wanted know for elder people what is the normal range for blood sugar? The ideal diet for diabetic patient of any age is low carbohydrates diet. 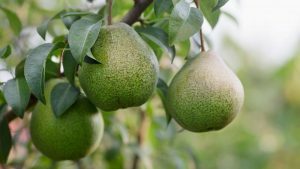 How can i know the GI and GL value of a fruit before purchasing?